RESOLVED, that the Apache Lucy PMC is hereby terminated. Per Apache Lucy convention, this report was approved by at least 3 PMC members prior to submission. the development of high performance language extensions. - There was one maintenance release (0.6.3) this quarter. - There were a few threads on the users@ list this quarter. voters to create a release. - This report was approved by at least 3 PMC members on the lucy-private list. - There was one Apache Clownfish maintenance release this quarter. - There were no releases during this quarter. - One mailing list thread about the golang bindings. - One bug was reported and fixed in master (trunk). - The PMC Chair position was rotated. It's been a fairly quiet quarter, with some discussions on the user list. - The Chair position was rotated. Thanks to Marvin for serving for two years. available, it is necessary to tweak the inheritance model that Lucy uses. An ambitious cleanup of Lucy's locking code has been completed. lists. Most commits continue to be authored by a single contributor. It is likely that the Chair position will be rotated soon. and PMC member change was Timothy Wilkens, who joined in September 2014. Email traffic trended downward a bit more this quarter. The community made maintenance releases of Lucy and Clownfish. Mail volume on the dev and issues lists fell a bit further this quarter. The user list picked up some. development of high performance language extensions. towards making the software easier to grok and hack on. changed employment, resulting in diminished contributions. - Apache Clownfish 0.5.1 on April 22 2016. - Apache Lucy 0.5.1 on April 22 2016.
compiler and runtime, and partial/experimental Go and Python bindings. cross-platform compatibility of Lucy and Clownfish. there will be less time before 0.6.0. The project continues to be developed actively by two main contributors. inquiries answered quickly and thoroughly. Previous reports mistakenly excluded Clownfish tickets. and the Clownfish symbiotic object system are currently being voted on. bindings and significantly expand the visible surface area of Clownfish. Marvin Humphrey, who focused on Go bindings for Clownfish and Lucy. more effectively, and we are making good use of Travis and Appveyor CI. - Currently 14 committers and 13 PMC members. symbiotic object system and Go bindings for Clownfish and Lucy. members who participate periodically and reliably cast release votes. forward to 0.5.0 and perhaps expanding our community. - Currently 14 committers and 13 LDAP committee members. Go being the top priority and Python next in line. A "Virtual MeetUp" via Google Hangouts is scheduled for Tuesday April 7.
back to the dev list, just as they would for an in-person MeetUp. were maintenance releases; making a feature release may provide a spark. - Currently 14 committers and 13 PMC members in the project. There are no Board-level issues at this time. Lucy 0.4.2 was released on 31 December 2014. Clownfish 0.4.2 was released on 31 December 2014. * Both Lucy and Clownfish releases include a number of bug fixes. Mailing list activity is average. Version 0.4.1 was released on 30 September 2014. Clownfish 0.4.1 was released on 30 September 2014. Version 0.4.0 was released on 03 September 2014. Clownfish 0.4.0 was released on 03 September 2014.
this is the object system which Lucy depends on. * Dev list remains active. Version 0.3.3 was released on 05 Aug 2013.
object system which Lucy is based on. * A release of Clownfish is imminent. * Minor bug fix with error handling when writing JSON files. * Release of an official Debian package of Lucy. * Created new repos for Charmonizer and Clownfish sub projects. * Clownfish "explicit-dependencies" work is underway. Mailing list activity below average. No new committers in the last quarter. The last addition was on 15 Feb 2013. * Finished migration to immutable strings. * Started with migration to immutable strings. * Renamed some variables generated by Clownfish. * Moved some Lucy-specific code from Clownfish to Lucy. user list was up and all questions were answered. * The C bindings are finished. Only the documentation needs some work. * Support for compiled extensions written in C was improved. methods or instance variables are added or reordered. average. Traffic on the user list was low but all questions were answered. 0.3.2, released on July 10th, 2012.
state now and scheduled to be released in the next quarter. * Rework of the test infrastructure. * Improvements to the build system. * Minor progress on the Ruby and Python bindings. Third Edition by Michael L. Scott. has graduated from the incubator in March 2012. Last release was 0.3.2 in July, 2012. * Repository migrated to git. furthest along and seems likely to be finished first. Lucy::Test) are underway but incomplete. efforts in Ruby and Python. * No change to committer/PMC membership ranks during this period. * The mailing lists have been active. * None requiring board-level attention at this time. No new releases since July. to the last report period. * Version 0.3.2 was released 9 July 2012. * The user and dev lists have been active. * Version 0.3.1 was released 10 May 2012. * The dev list has been active. of Lucy compatibility with Lucene and Nutch. the Apache Lucy project on March 21, 2012. * None during this period. * The last release was 0.3.0, an incubating release dated 2012-01-15. * The dev list has been active, the user list has been quiet. and targeted at dynamic language users. Lucy was voted into the Incubator on July 22, 2010. * Added new Committers/PPMC-members Nick Wellnhofer and Logan Bell. * Made substantial improvements in committer diversity. * Added several new classes relating to Unicode text processing. * Finished eliminating Perl-licensed dependencies, resolving LEGAL-86. * Set up per-commit build-and-test buildbot. * Finished porting Clownfish compiler to C.
* Released versions 0.2.0 and 0.2.1. * Added new committer Brad Harder. * Continued Clownfish C porting. * Disperse knowledge of codebase among developers. C and targeted at dynamic language users. * Inaugural release 0.1.0 successfully launched. * Added new mentor Joe Schaefer. * Migrated Charmonizer build system to Make. * Started on Ruby bindings. * Added new committer David Wheeler. * All but two dependencies with problematic licenses eliminated. * Release guide draft completed. * ASF branding requirements mostly addressed. 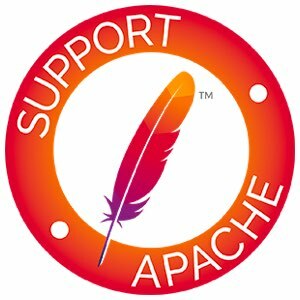 * Website transition to new Apache CMS underway. refactored, miscellaneous bugfixes and improvements). drop. Marvin has already uploaded the code drop to LUCY-122. Willnauer participated in the discussion. podling's momentum. These issues should be closely watched. * Audit of existing KinoSearch code base for Software Grant has begun. * Make a 1.0 stable release as quickly as possible. * Concentrate on community expansion. * Accounts requested for new committers Peter Karman and Nathan Kurz. * Existing JIRA and MoinMoin Wiki installations transitioned. * Existing Lucene subproject codebase moved from lucene to incubator. McCandless, and committer Simon Willnauer.